Yikes! The Mind Body Brand Academy Kart is Closed until next session ( Winter +Fall) but You can CLICK HERE NOW to still get started! Grab my FREE course on creating your next Heavenly Opt In and start building your community! ~Forever access to 8 modules of progressive step by step education and coaching focused on finally letting go of personal barriers to success and setting up a simple but successful vision, mission, ideal client profile, marketing platform, customer lifecycle funnel and ongoing , growing community. ~A private academy forum for the deep work of the inner circle and private larger FB group for safely supporting each other's action steps on the rise. ~Weekly Live Coaching, 1:1 mentorship, personal development tools and action sheets every academy class to hold you accountable for making progress and help you as you progress in experience every 6 months. ~Motivation and global accountability from other women that know you and are you in some way. 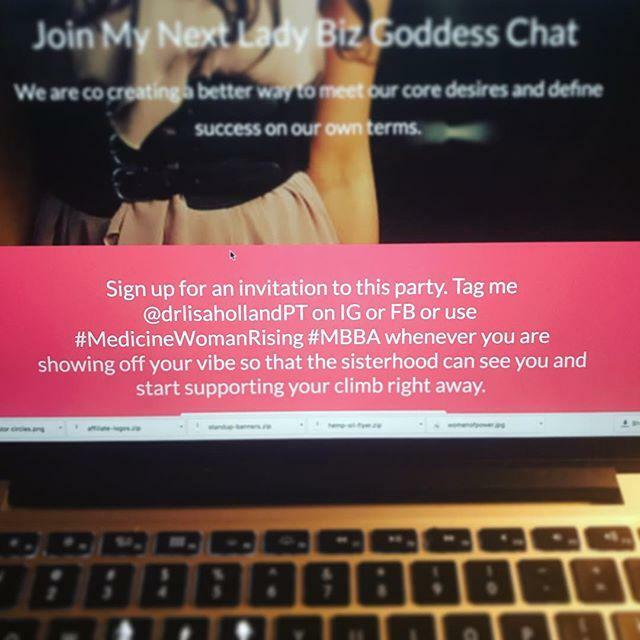 MEDICINE WOMAN, You are taking back the trajectory of your career and financial power. What in the hell are you waiting for? TO TRUST, SHARE WITH CONVICTION & AMPLIFY EACH OTHER! I want to send you my 5 Steps to Making Sure You're Rocking Your Goddess Fire and invite you to my next Live session.